It has been a tiring but lovely 2 weeks for us. Each year, in the autumn, we run 2 booths at the Shakespeare Festival which keeps us very busy. We bump into a lot of people that we have known through the years and we get to know others who live in the locale and touch base with them. It is two weekends in a row, from Friday to Sunday, 5pm – 11pm. Each fall the festival transforms a wood affectionately known as Sir William’s Hollow into an outdoor Shakespearean Amphitheater and Festival. Located in St. Marys, Kansas the festival was established in 2010 and has grown into a successful annual event. Last year’s performances saw over 6,000 theater enthusiasts attend over two weekends. The Festival flew in Dr. Joseph Pearce who is an expert on Shakespeare and a renowned literary scholar! We have purchased and listened to some of his downloads so we were excited that he was coming to talk at the Festival! It was great! Next year, he will come again and will expound on the Shakespearean Play, Merchant of Venice, which will be the feature play of 2018! Our daughter-in-law, Sarah looking over the lovely Kanzashi Ribbon flowers! Get out of our booth! Father Kodet came and played his concertina more than once during the two weekends of the Festival. Angelo had his own game booth this year. It was quite a responsibility. He did very well with it…it was a hit with the kids! Angelo, the Elk drew attention to Angelo’s booth! Angelo’s “Rock the Realm” Booth! Good friends waiting in line to play Angelo’s game. Rosie made it to some of the Festival. We had a campfire by our booth, too. It was a nice hangout..
Getting ready for the play…. Lots of pumpkins for sale! Patrick plays the flute, the bagpipes and much more! The play, in the woods, at night! The last Saturday of the Festival (Sept. 16th) proved to be a very sad day for many. Daniel McDonald, 18 years old, was the lead singer and guitarist of the “Boys from the Shed” band and was heading to play at the Flint Hills Shakespeare Festival when he got into an accident that took his life. He came from a family of 12 children. Please keep him and his loved ones in your prayers. Happy Second Day of Christmas!!!! We had a Film Festival on Saturday afternoon of the Traditional Family Weekend. One of the films was by our good friend Erni Garcia (Erniversal Studios). The video features the beautiful voices of Erni Garcia and Hillarie George. Our married couples are also in it….Mike and Jeanette Gallant and Devin and Theresa Byrne. This post shared with the blog Like Mother, Like Daughter. Coming Right Up!! 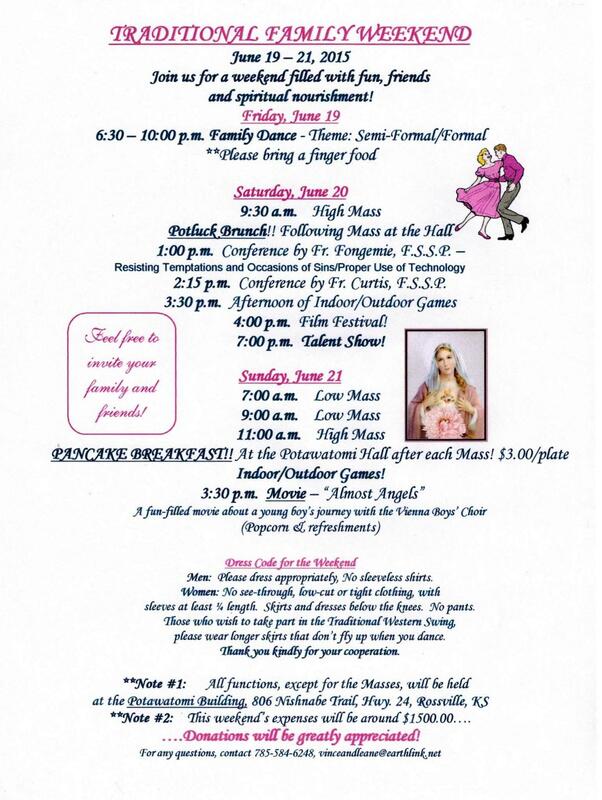 Traditional Family Weekend – June 19 – 21, 2015! For those who are planning to come, we are looking forward to having you!! So…If you would like to donate, or know of anyone that might be interested, the link is on this post. 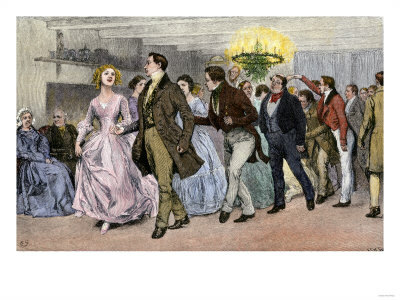 Christmas with a Christmas Dance!!! Intermission will be entertainment by Anthony Delallo and Jacinta Murphy with Our Lady of Knock Irish Dancers! The evening will be semi-formal (church-going attire) or formal (evening gowns, tuxedos) so pull out your party things and come and celebrate with us!! Women: No see-through, low-cut or cropped tops. No sleeveless. Skirts and dresses below the knees. No pants. If you are planning on taking part in the Traditional Western Swing, please wear longer skirts. Donations will be taken during the evening and will be greatly appreciated. Catholic Culture for Catholic Families….Would You like to Donate? About twice a year, we have a function that includes family, friends and new acquaintances. These functions are family-oriented with good wholesome entertainment, recreation and often includes conferences from priests or other good speakers. We have had conferences on courtship, Dressing with Dignity (thanks, Colleen Hammond! ), family life, etc. There are often a whole weekend of activities that bring people from several states in the midwest and from both coasts. As you can imagine, these functions need funding and we work very hard with bake sales to have some initial money to start each function off. Then we ask for donations at the weekend itself. Sometimes it can be touch and go as far as covering costs. I remember one particular Function we had a Family Square Dance, conferences, an Irish Concert, rosaries, confession, a Family Movie, volleyball, games and music scattered throughout the weekend. We were very grateful…AND relieved!! 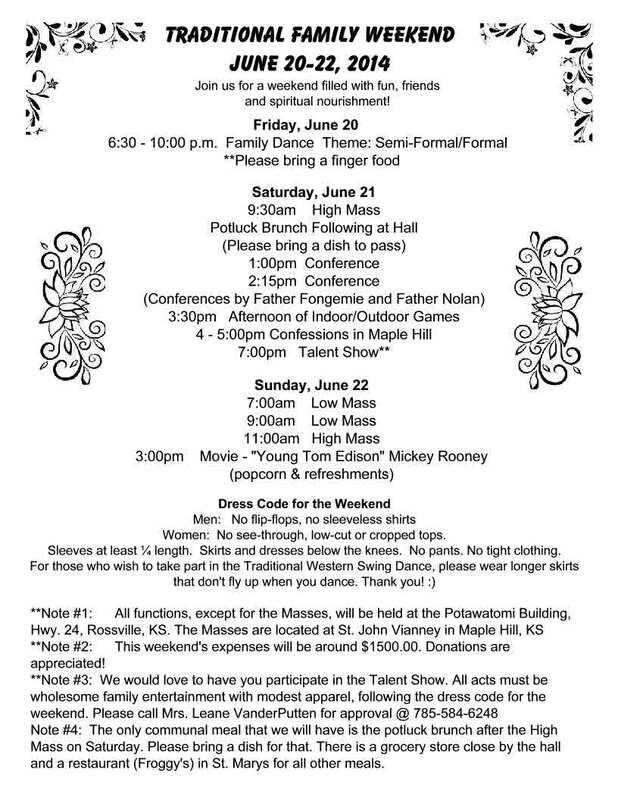 We are planning a Traditional Family Weekend June 20 – 22 which will include a dance, a Talent Show, conferences, volleyball, etc. We feel that these Functions provide a refreshing regrouping of like-minded Catholics. New acquaintances are made, families visit, the youth meet other youth….even some budding relationships have occurred that ended in good marriages from these events!! They also provide a place where the youth can learn to interact with other youth in a chaperoned, cultured manner. People go back to their homes knowing they are not alone against an indifferent world. So….if any of you would like to donate to this worthy cause….of bringing like-minded Catholics together, of providing traditional family fun and spiritual nourishment to the young and old….families in general….then we have provided a way for you to donate. And if you would like to take part in one of these I will keep you posted through this site. We hung the crucifix in the hall and prayed the rosary before it each day. Colleen Hammond – Great Speaker! Old Dust Band sang in between activities! This was taken today (Thursday). We’re getting ready for a big bake sale on Sat.! She gets to make something out of the leftovers! Just hanging around enjoying the weather and the company! Thursday is the Assumption…Let’s Make it Special! The Assumption is this Thursday and I am so glad I read this!! It’s been a few years since I read it and I appreciated the inspiration!! You can bet that we will be making the Assumption extra special this year! This is a long article but it is every bit worth the read! Make the Assumption unique this year, too! It is building memories that the kids will never forget! “A tea!” That was Peter. He’s for teas. It was Peter who thought up having the Mad Tea Party that time. And a tea seemed like a good idea this time, what with an afternoon procession and a blessing and flowers and mint and things. This promised to be very interesting since there are only two Hobson girls (their mother and Ginny) and the rest are boys. At least, at the time that was how matters stood. There are now three Hobson girls. Anne Marie has been added. Then we decided that we should have something special for our procession during which we would give the Blessing of Herbs and Flowers (in the new ritual it is called simply the Blessing of Herbs). The blessing is traditionally given on August 15, perhaps because of the legend that the Apostles found flowers in the tomb where they had laid our Lady; or perhaps because the Church wanted to Christianize the pagan custom of gathering herbs for medicines at this time of year. At any rate, the legend about the flowers in her tomb and St. Thomas doubting is sufficiently popular to merit a telling, just so that everyone will get it straight that it is a legend. It goes like this (with many variations). Our Lady fell asleep at last after the years of living with St. John and waiting for Heaven, and all the Apostles were gathered about her bed. Except St. Thomas. He was off in India preaching the Gospel and couldn’t get back on time, although an angel is supposed to have told him to hurry. The other apostles carried her body to the tomb and laid it there, and sometime afterward they discovered that it was gone. They naturally concluded that it had been taken to Heaven (as indeed it had). Then St. Thomas came home; and when they went out to meet him and to explain, he would not believe. He would not believe, the legend says, until he had seen for himself. So they took him to see where they had laid our Lady’s body and in its place were flowers. Looking up, St. Thomas saw her going up to Heaven; and to convince him at last, an angel brought the girdle she had fastened about her robe and dropped it to Thomas. What is true is that our Lady fell asleep. The word death is not used for our Lady, because death is the consequence of Original Sin and a punishment for sin, and our Lady was without the slightest taint of sin. She would not, need not, have died, but merely waited for her divine Son to will that it was her time for Heaven, and then yield up her soul. We would have accomplished it this way instead of through death if God’s original plan had been permitted to unfold. But instead of God’s original plan, we had Adam’s Original Sin, and that is how death came in its stead. 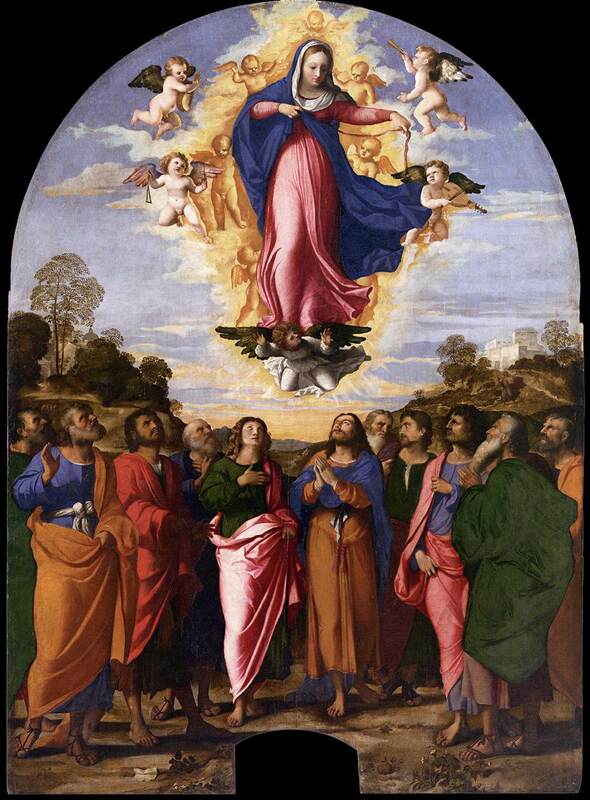 Mary was assumed into Heaven. At the end of Masses and after Benediction, when we say the Divine Praises, we add in praise of our Lady: “Blessed be her glorious Assumption,” which is what we celebrate today. Now back to our procession. With recollections of the magnificent banners and wall-hangings of our Grailville friends, a banner seemed in order – but one that we could design and execute in a reasonable time. One day, for a special project, we shall work out a more elaborate hanging, with wools and velvets, sateens, yarns, chain stitch, feather stitch, bands and borders; but this day we had little or no time to spare. So it was off to the linen trunk in the storeroom to see what treasures we could find. We found a small linen guest towel of bachelor’s-button blue, embroidered with cross-stitch roses, simple and nice. It made us think of the Mystical Rose. And we found a white linen cloth, heavy as a butcher’s apron but fine as fine and bleached white with many washings and sunnings. Added to these were a length of white rickrack and a half-skein of white yarn, and our materials were complete. We sewed a decorative M of the rickrack over the roses on the blue linen towel. We cut an oblong of the white linen large enough to double-hem the edges and leave a border of about one and a half inches of white around the blue. We mounted the blue towel on the white linen, sewing it across the top only. We divided the white yarn into three hanks, braided it into a rope and tacked it across the top of the banner with equal lengths to hang loose down either side. Next, John went up to the woods and cut a new shoot of oak about an inch in diameter and skinned the bark off. He sawed a two-foot length for our cross-piece, and we bound the banner to this, with white yarn at four places across the top. Another length of oak about three feet long was the standard and we bound our cross-piece to it. There was our banner! It took about an hour, with children and Granny helping, before we had it finished and the threads and shreds swept up off the dining-room floor. Then Stephen remembered something and ran into the study. Confetti! For over a year, we had saved a package of confetti, waiting for a feast of suitable magnitude before using it. Feast days had come and gone, of magnificent magnitude, but we forever forgot the confetti. This was the day for it! Then we sat down, more or less, to await the arrival of our guests in their organdies. As none of the Newland sprouts knows an organdy from a hole in the wall, there was wild anticipation. At last they drove up, but in picture hats and blue espadrilles, in honor of our Lady. Also bearing with them a peach chiffon pie they had made to honor her and indulge all present, with a crown of sliced peaches decorating it. The Hobsons thanked him graciously. After general clamor for a few minutes, customary as families assemble for any great event, we had a short discussion of our Lady’s Dormition and Assumption with a clear explanation of the legend about the flowers at her tomb. Then we started out in this order: Stephen with banner. Mrs. Hobson with pewter mug of holy water and aspergill. Mother with Ritual. Ginny with confetti. A quick shift of aspergill to Peter as Mrs. Hobson picks up John Archer, who is afraid of goose and goats. Various additional children. Arranged at last, we started with the flowerbed by the house where there is tansy, thyme, marigold, and an unidentified herb that will be a mystery until our herb lady comes back and identifies it. The blessing begins beautifully with Psalm 64,123 which has wonderful passages in it for children. As we had just recovered from the fringes of a hurricane which, in turn, had put an end to our drought, these lines had special and eloquent meaning. They shout and sing for joy. Alas, our procession seems to be one part reading and blessing, and one part shouting and singing for joy. No loss: their joy is in the Lord, and if they are too little to stand still very long, psalms or no, let them shout and sing for joy. This is the making of many memories and impressions, a mixture of blessings and sun and sky and happiness and family and home and our Lady Mother Mary; this is one of the joys of being a Catholic. Leader: The Lord will be gracious. All: And our land bring forth its fruit. Leader: Thou waterest the mountains from the clouds. 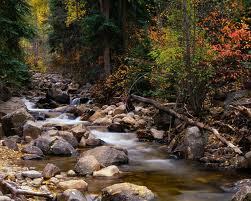 All: The earth is replenished from Thy rains. Leader: Giving grass for cattle. All: And plants for the service of man. Leader: Thou bringest forth wheat from the earth. All: And wine to cheer man’s heart. Leader: He sends His command and heals their suffering. Leader: 0 Lord, hear my prayer. Let us pray. Almighty, everlasting God, by Thy word alone Thou hast made Heaven, earth, sea, all things visible and invisible, and hast adorned the earth with plants and trees for the use of men and animals. Thou appointest each species to bring forth fruit in its kind, not only to serve as food for living creatures, but also as medicine to sick bodies. With mind and word, we earnestly appeal to Thine ineffable goodness to bless these various herbs and fruits, and add to their natural powers the grace of Thy new blessing. May they ward off disease and adversity from men and beasts who use them in Thy name. Through our Lord, Jesus Christ, Thy Son, who liveth and reigneth with Thee in unity of the Holy Spirit, God, forever and ever. Amen. We proceeded down to the vegetable garden and sprinkled the dill, and thence off to the brook, where the wild mint flourishes, singing “Mary, We Greet Thee” all the way (that is the Salve Regina in English). Down along the brook is a magic place, with mint thick and tangled and wild grape and small willows and a hidden bed of forget-me-not. We sprinkled that, and the flame flower far inside a thicket by a private stream of its own. Then we went further down to the place for sitting on banks and dangling feet. And here, with a story while tasting mint and other wild leaves that were not quite so delicious, everyone took off shoes and went wading, and the smallest ones sat down in the water in their clothes. Then at last we threw the confetti. 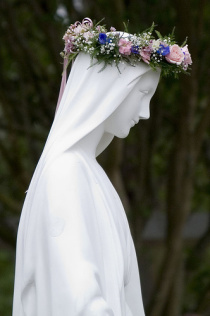 It was a glorious sight floating on the brook, sun dappling the water, sounds of children, sounds of water, smell of mint, everyone laughing and splashing, all for the honor and glory of our Lady. Then back home, to the pie with the Mary-crown on it and the spiced tea with orange and clove (because Holy Scripture says that Mary is like sweet spices and aromatic balm”‘):a lovely end to a day that had started with the whole family at Mass and Holy Communion. The fathers had pie saved for them in the refrigerator. 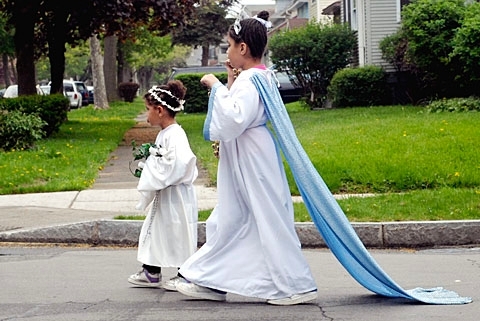 Processions like this are a particularly motherish kind of thing. These things that take fussing and patience and holding hands while walking with very little people with incredible slowness are things mothers were especially well made for. 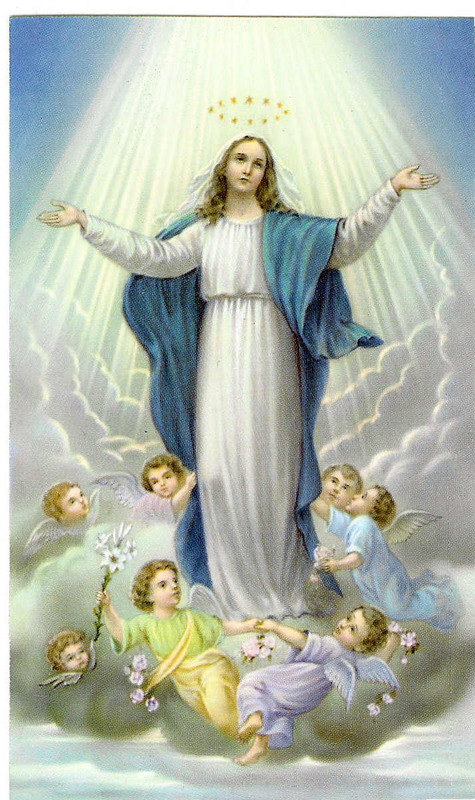 Lucky for mothers who have sunny afternoons to teach such beautiful truths and to make such beautiful memories as these of “her glorious Assumption”! But suppose you live in the city, and there is no brook and no pasture, no wild mint or forget-me-not, or goose or garden or herbs to be blessed – what then? Still, I would not give in. Somehow I would find a way to make a family celebration and a happy memory of the Assumption. For some people, a trip to the nearby botanical gardens would be a lovely event for the afternoon. There are many more herbs there than in backyard gardens, and often there are also true Mary-gardens. You could take along the Ritual, or the words to the blessing copied out of it, and a little bottle of holy water; and when you were alone together for a while, read the blessing over some small patch of fragrance somewhere out of the way where you disturb no one. Or if there were no way to go anywhere, I would make it a celebration around the evening meal in the city apartment. I would buy a pot of flowers, or a few cut flowers from a pushcart, and go to the grocer’s for some herbs. Celery, chives, parsley, endive, lettuce, and chicory are some of the common salad herbs we use all the time, without thinking of them as herbs. 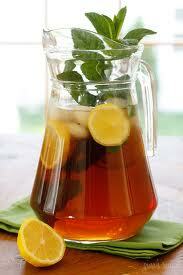 Mint for iced tea is another herb we use; so I’d find some of that. Then, when all the other dishes were ready, before mixing the salad or putting the mint in the tea, I’d have my family gather together around these lovely things and have the father or the oldest grown-up read the Blessing of Herbs, right in my own city apartment; or in my own room over my tray, if I lived all alone. 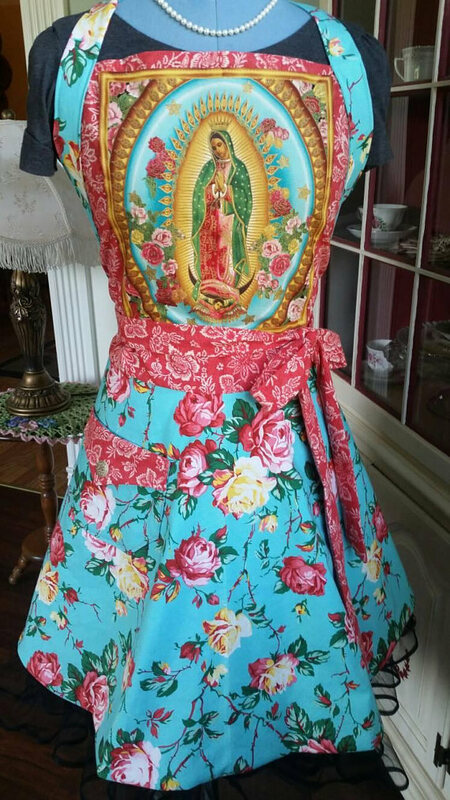 For dessert there would be spiced peaches or pears, and I would use cinnamon to spice them because Scripture says that our Lady is like the smell of sweet cinnamon. The juice drained off any canned or stewed fruit, brought to a boil and then left to simmer a while with a little extra sugar and a stick of cinnamon, quickly prepares spiced fruit. Do it the day before, then let it get nice and cold in the refrigerator. I would bring out a book from the library with reproductions in it of the early Christian masters – Italian, French, Flemish – and explain to my family the meanings of the fruits they used as symbols and have my children search for them in pictures. Libraries, encyclopedias, and bookshops will help you find information on symbols. To decorate a city apartment for the feast, a banner such as described can be used without the standard; or a group of the fruits may be arranged in a bowl, or cut out in simple patterns from bright fabrics or old felts, sewed in a garland around a decorative M on heavy unbleached muslin or linen, or arranged in a group surmounted by an M and used as a center decoration on the table or a hanging on the wall behind it. Children may make such a banner of colored construction paper and paste, cutting the fruits from paper, silhouette-fashion, and mounting them. These symbolize only a few of the glorious virtues with which God adorned His Mother. Perhaps it is the most obvious thing in this feast that evades us most successfully. We are so accustomed to understanding its meaning that we fail to understand it with impact: we will see her womanly, motherly, virginal, presence in Heaven. This is the great triumph. A creature, child of Adam and Eve, flesh and blood like ourselves, not divine, has so dignified our race by her obedience that we are now adopted sons of God and heirs of Heaven. And we will see her. Children always put it so well. Only someone who lives with children and knows their language would understand. That is why “not one crumb was left” has such eloquent meaning.